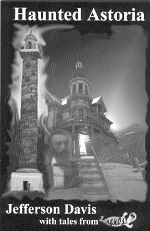 Jeff Davis has lived in the Peculiar World for most of his life. As a boy, he decided to become an archaeologist and investigate the odd and unusual after watching the original Mummy movie, with Boris Karloff. 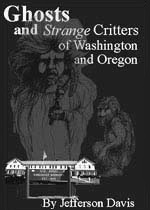 For many years, Jeff worked in the woods of Pacific Northwest’s Cascade Mountains, the home of Bigfoot. 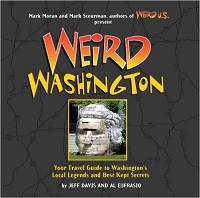 Jeff has encountered many peculiar things while traveling around the world, visiting England, Italy, Bosnia, South Korea, Japan, and Southwest Asia. 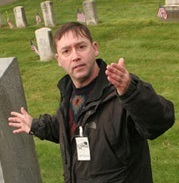 Jeff has written, edited, or contributed to over a dozen books, including military history and the paranormal. 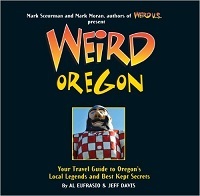 Some of his books include Weird Washington, and Weird Oregon. He has been a guest on Coast to Coast AM, the History Channel show Haunted History, Ghost Adventures, and the Dead Files.